Hi readers: I have a wonderful guest blogger today, Lindsay B of the blog "Nut Free Life." Lindsay has adult onset peanut allergy and tree nut allergies and she has been a loyal follower of the Nut-Free Mom and frequent commenter. In response to a thread on my Nut-Free Mom Facebook page, she asked me if she could share her story. I appreciate her insights because even though many of us have young kids, we wonder what a nut allergy diagnosis means to their futures. Lindsay wanted to offer her perspectives and she also wanted to reassure us parents that a regular adult life is possible! Please note: everybody's allergy is different, so for specific medical concerns, ask your allergist. Thanks, Lindsay for sharing your story! 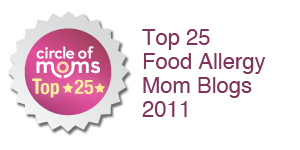 "Recently, The Nut-Free Mom asked her Facebook followers to post their “biggest concerns” regarding their child’s food allergies. 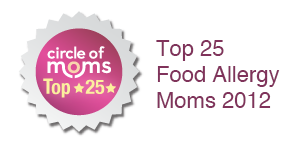 What surprised me the most was that your worry was not limited to your current day-to-day reality of navigating food allergies for your 18-month-old or 6-year-old. You’re already thinking about his or her future as an adult. I can address some of your specific concerns, because after almost 28 years of eating whatever I wanted, I had an immediate, anaphylactic reaction to peanut butter in 2008, and was diagnosed with peanut and tree nut allergies as an adult. 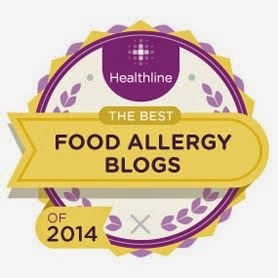 For me, the first couple of years living with food allergies was really challenging, but I am now doing everything I loved doing before food allergies. My life looks like any other 30-year-old adult, aside from food restrictions, carrying medications, and taking some precautions. I live a really happy, healthy, full life, and your son or daughter can too! Here is a response to some of the questions you asked about living with food allergies as an adult. Will my child ever travel?When I was first diagnosed, I wondered if I’d ever be able to get on a plane and explore the world again. Life is definitely easier in the daily, comfortable routine, but I didn’t want my life experiences to be limited just because of my food allergies. It takes more planning in advance, but safe travel is definitely possible. In fact, I will be traveling internationally this June for the first time since my diagnosis. If your child has recently developed allergies, and you’ve been afraid to travel with him, start by taking a road-trip to a nearby destination. Bring a bunch of safe snacks, research restaurant options online, get a motel room with a kitchenette, and plan fun activities that do not revolve around food. Once you see that it’s possible to travel safely with food allergies, you can begin to choose further destinations. It’s amazing how much a positive travel experience will give you the courage and confidence to do it again. The more you go and explore as a family when he is a child, the more he will feel comfortable and confident to vacation as an adult. Will my child be able to eat out at restaurants? Of course, some ethnic restaurants are now off limits because of the high risk for cross-contamination (e.g. Chinese, Thai, Laotian), as are baked goods, ice cream, and desserts. But that doesn’t mean that I can’t go out and enjoy food away from home! I simply choose restaurants that have simpler menus and/or simpler dishes, or restaurants that are known for being accommodating to people with food allergies. I ask my server the same questions you ask now for your child, and I trust my gut if I feel like my questions are being dismissed or ignored. At coffee shops, I get drip coffee instead of a flavored drink. If I want ice cream for dessert, I make it at home instead and enjoy it after my dinner out. As your daughter gets older, teach her how to ask questions and speak confidently (kindly and firmly) to servers, make wise choices, and follow her instincts, and she will grow to feel comfortable eating in most restaurants. 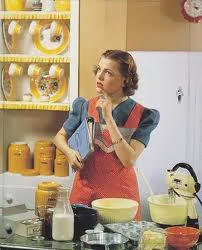 Also, let her cook and bake with you in your nut-free kitchen at home, so that she knows how to prepare a few of her favorite meals before she leaves home for college and adult life. Will my child carry his medications at all times? Yes. And you can help your kids by teaching the importance of having medications on them at all times, in case of an accidental exposure to allergens. Without fail, I carry two EpiPens, Benadryl (fast melts and pills), Zyrtec D (for my seasonal allergies) and my inhaler in my purse. Men can carry messenger bags, a leather satchel, or a backpack with their medication(s). There are also different options for carrying epi pens, such as belts, arm bands, and calf bands. The important part is conveying to your child the absolute necessity of having his medications on hand, not in the car (where they will be exposed to extreme temperatures), not in his dorm room, and not in his office desk drawer when he goes to the workplace cafeteria down the hall. You can model this behavior by always carrying the medications yourself, when he is very young, and giving him increasing responsibility for carrying his own medications when it is age appropriate to do so. Will my child be able to go to parties? Yes! For my work’s holiday parties and networking events, I call or email our catering department to ask about the menu, and what will be safe for me to eat. At bridal and baby showers, I call the host soon after receiving the invitation, explain that I have severe food allergies, and ask if she will be serving food with nuts. At Super Bowl parties, game nights, or movie nights at close friends’ homes, I often feel safe eating the veggies, chips, cheese, meat, and fresh fruit (once again, the more plain foods), and skip the bread and dessert. If I’m at a party that serves alcohol, I choose bottled drinks such as beer or wine, and I say “no” to mixed drinks. Your daughter will learn, over time, how to make good choices, as well as her own personal comfort level. At some parties, she will be able to eat freely! At others, she may decide to eat a small meal in advance, choose to eat when she gets home, carry a few safe snacks in her purse, or assist the host in making the food, to ensure its safety. I’ve found that my comfort level varies, depending on the host and his or her attitudes about my food allergies. By and large, however, my friends and family members have been great at making accommodations and preparing safe food." Thank you so much for sharing! This is very reassuring. My 3 year old daughter was diagnosed with tree nut allergies in November and these are some of the issues that have come up when thinking about what her life will be like from now on, or later as an adult. Also, Nut-Free Mom, your blog has been really great as well. I think I found the link on Facebook. Thank you thank you!!!!!!!! Lindsay, thank you for sharing this very encouraging and insightful blog. Our daughter will be turning 6 soon and had an anaphylactic reaction to tree nuts two years ago and these questions must have come up in our minds more times than we can remember. It is very reassuring to know that with proper planning, educating, and vigilance we can have the same hopes for our daughter living a full and healthy life! Thank you so much for sharing your experience and answering the questions that are on the minds of so many parents who have children with life threatening allergies. Some of the most reassuring words I've heard since my 5 year old daughter had an anaphalactic reaction to a cashew (tree nut)this New Year's Eve. I am confident I will do ANYTHING and EVERYTHING I can to try to make her life safe, but have such overwhelming sadness over the effect this will have on everything she does in her life. Your words mean so much. Jenny, I am new to your spectacular blog, and cannot express the gratitude I have for it. Your beautiful girls are blessed to have you for a mom. Thank you!! Lindsay, I'm so glad you shared this. I am 22 and had my first anaphylactic reaction to peanuts in November, so I am currently going through all the struggles of adapting my eating and lifestyle habits. This post almost put me in tears. It's wonderful to read positive stories of people living happy healthy lives despite allergies. Really great post, thank you so much! I wanted to thank Lindsay for her post and blog. As an adult onset PA and TNA (at 33 yrs) I often feel alone navigating the nutty world because often everything online talks about children and the school issue. Thank you Lindsay - so much! It is so difficult to find support as an adult with nut and tree nut allergies. I was diagnosed with an allergy to all nuts, as well as legumes and many seeds and beans at the age of 2. It was easier as a child because with my parents' assistance and with peoples' understanding that I was a child with allergies, I didn't have to defend myself or constantly cause "issues" when eating out or going over to someone's house. 23 years later, I find that most people think nut allergies only affect children and it has been difficult for me to adjust as an adult. Being of indian descent, I have to avoid most ethnic food and it has been a difficult journey of getting people around me to understand that I am not just picky or "annoying" but am, in fact doing my best to ask questions and be aware of what I am putting in my body. It's refreshing to see the perspective of an adult and although I have much more to say I will leave it at a HUGE thank you to you for giving me hope that it will get easier.